I’ve always liked the idea of having a spiritual mentor, so I created Father Mike, an Anglican priest who gently guides my protagonist Dee into the discovery of faith. Much like Christ, who asks questions that reveal the hearts of those who come to him, Father Mike drills down to get to the heart of Dee’s anxiety. When Dee spills her antagonism toward her mother, Father Mike refocuses her on connections she is missing in her life that have nothing to do with her mother and everything to do with the choices she herself has made. As a debut author, I have much to fear. When I take it to its deepest level, I fear the demands of marketing my book will cause me to lose heart for writing. I experienced this knee-knocking fear in my first meet and greet at Barnes and Noble in Bakersfield, California. Standing alone by the table where my books were stacked alongside a fresh supply of newly purchased Sharpies for signing, I pep-talked myself much the way a wallflower at the prom does: Don’t be shy. Be confident. Be approachable. Smile! Then I put Father Mike’s advice to work. I worked from my place of fear, that no one would buy my book, to my place of hope. Surprisingly, it had nothing to do with book sales. My prayer was this: God, if this is no fun I am never going to want to do it again. Can you make it fun? And He did. He sent me an angel named Julia who came to my table, took over and made it a party (See the story, Signing Books at Barnes and Noble http://sydneyavey.com/2014/05/13/signing-books-barnes-noble/. My biggest fear was not that I would fail to sell books but that I would fail to connect with readers. Julie facilitated that connection by drawing people to me and the conversations were exhilarating. As I prayed, my certainty increased that once I got to the heart of the problem He would be there to walk with me. God ignored my initial pathetic fear-based mumblings: Dear God in Heaven, could you let me sell just ONE book? When I finally got to the heart of what I hoped for – connection – God said now you’re talking. Life is messy. When I started out to write novels I was unaware what was ahead; a publishing industry in turmoil and pressure to turn art and craft into a business seemingly at odds with the faith walk I experience when I write. But God is in the business of helping us connect the dots so we can see the big picture. In The Wisdom of the Sheep Walker, a companion to my novel The Sheep Walker’s Daughter, Father Mike poses these questions to Dee, who does not know God at the beginning of the book. Assume there is a God. What is the one question you would like to ask Him? Ask questions. Expect answers. Pay attention to what people say; and what they don’t say. This is what faith is, being sure of what you hope for, even though you don’t see it. What is your biggest hope? Assume there is a God. Ask Him to bless you. Ask Jesus to guide you. Ask the Holy Spirit to empower you. Watch what happens. The doors to our hearts can malfunction. Our Lord opens doors to understanding, but only if we keep the hinges properly maintained. Our faith hinges on knowing what we hope for and believing it is there for us. Keep asking the big questions. Keep seeking truth in your art and your life. Keep knocking on the door. Confess your fears, but ask God for your biggest hope. I love the New Living Translation of Luke 11:9. “And so I tell you, keep on asking, and you will receive what you ask for. Keep on seeking, and you will find. Keep on knocking, and the door will be opened to you.” Only believe. The Wisdom of the Sheep Walker is available on Amazon.com. Delores “Dee” Moraga Carter, a Korean War widow’s difficult mother dies before revealing the identity of Dee’s father. As Dee sorts through what little her mother left, she unearths puzzling clues that raise more questions: Why did Leora send money every month to the Basque Relief Agency? Why is Dee’s own daughter so secretive about her soon-to-be published book? And what does an Anglican priest know that he isn’t telling? The Sheep Walker’s Daughter pairs a colorful immigrant history of loss, survival, and tough choices with one woman’s search for spiritual identity and personal fulfillment. 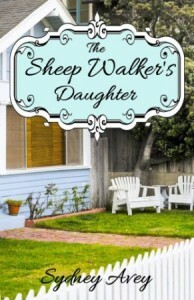 The Sheep Walker’s Daughter is available in print, eBook, and audio. Sydney Avey lives in the Sierra Nevada foothills of Yosemite, California, and the Sonoran Desert in Arizona. She has a bachelor’s degree in English from the University of California, Berkeley, and a lifetime of experience writing news for non profits and corporations. Her work has appeared in Epiphany, Foliate Oak, Forge, American Athenaeum, and Unstrung (published by Blue Guitar Magazine). She has studied at the Iowa Summer Writing Festival. 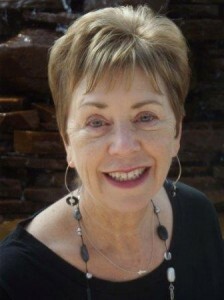 Sydney blogs on topics related to relationships, legacy, faith, and the writing life at sydneyavey.com. You can also discover more about Sydney via her e-mail (sydneyavey@gmail.com), her website, on Facebook, Twitter, LinkedIn and Pinterest. Be sure to check on Monday’s interview with Delores Moraga Carter and Wednesday’s interview with Delores’ author, Sydney Avey. This week on Inner Source has belonged to Sydney. Be sure to check out each of the posts this week and leave a comment for a chance to win a copy of The Sheep Walker’s Daughter. One lucky reader will be able to choose the book format they prefer.